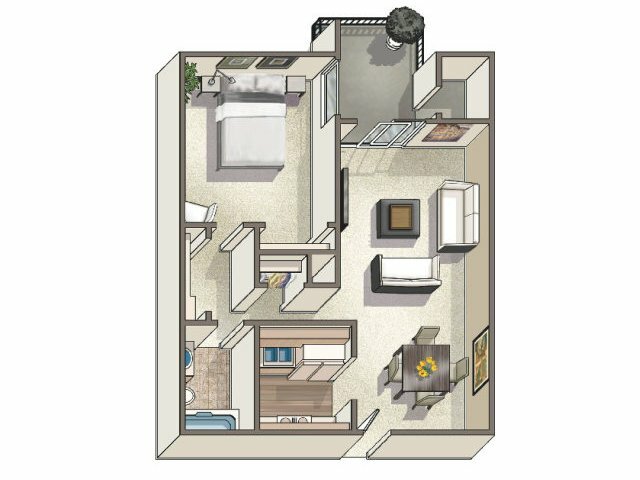 Explore our available apartment layouts below or our various unique amenities.  At Lakeview Towers at Belmar, our apartments for rent are made with you in mind for functionality and convenience. 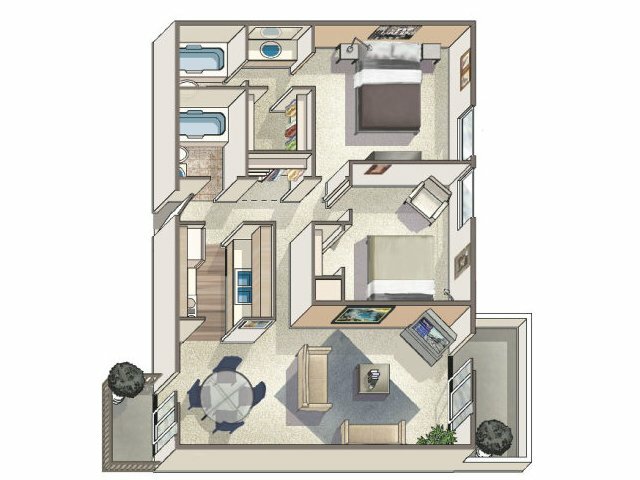 You can choose between our one and two bedroom apartments and four different floorplans that feature an inviting atmosphere with expansive space. Walk onto the smooth vinyl plank flooring of your two bedroom apartment and see your very own separate dining area. Take time outside to enjoy striking views of Lakewood's mountains and lake while lounging on your private balcony or patio. 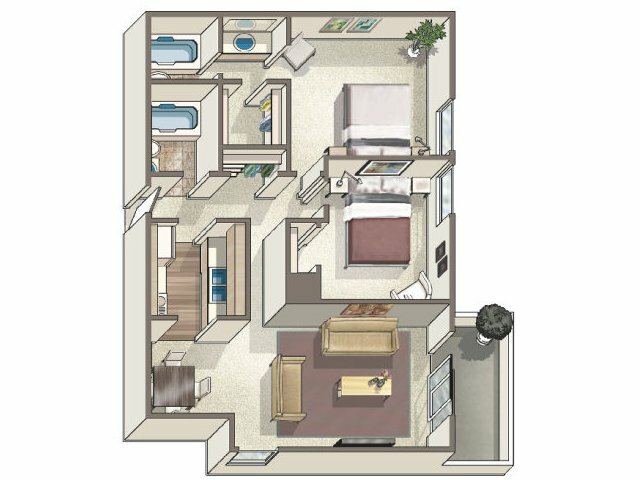 With apartments sizing from 625 square feet to 933 square feet, you will have room to spare and appreciate the comforts of additional storage. 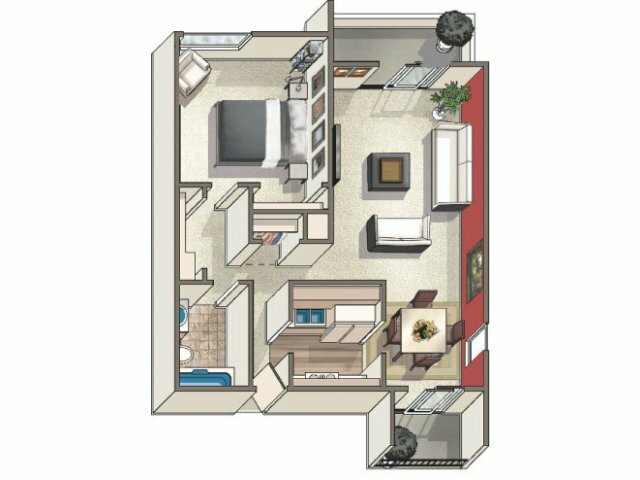 Our apartments in Lakewood, Colorado is where you want to be. Call us today for availability and to schedule a tour!